Just a short little post today dedicated to the month of June. 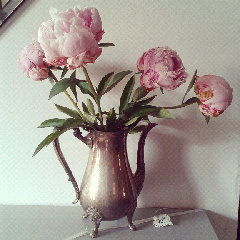 All hail the peony.. one of my favourite flowers and at their peak this month. I just couldn't resist these pastel pink ones. So pretty in a vintage coffee pot!